Affenwald Straußberg: EXPERIENCE. WILD LIFE. Welcome to the World of Experience at Straußberg! 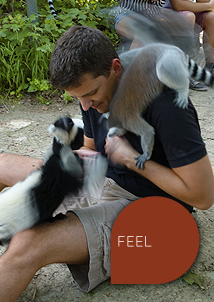 Explore the winding paths that lead up into the lemurs’ highlands. Seek out the path to the realm of the Barbary apes. Discover the woodlands and observe the kangaroos in their natural habitat. 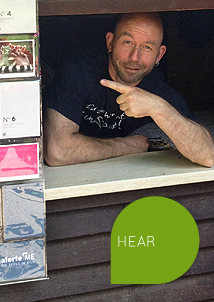 Experience rare animals up close and personal! Caution: the animals are very friendly! But they can also be pretty cheeky! And if that’s not enough fun, why not try the SPEEDRIDE summer toboggan run and whizz down the hill through tight corners and fast straights at a breakneck pace! We do apologize, but you can not pay by Card (EC-Card, Creditcard and such ...). You will experience wonderful things. The Affenwald is more than a zoo where the animals roam free. We are actively involved in the protection and conservation of endangered primate species. Get in contact here. 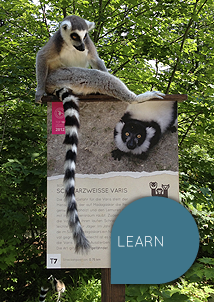 At the "Erlebnispark Straußberg" adventure park you will make friends with endangered primate species – an opportunity not to be missed. You can find further pointers here. We’re also open when it rains! 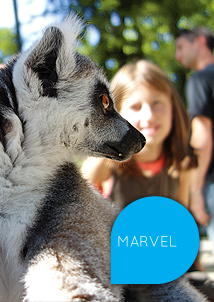 Our animals are always active and look forward to your visit. You need to know when the WALDHAUS Hotel & Restaurant and the Wildlife Park are open? Please find out here.